For the English cricketer and footballer, see Raymond Bailey (sportsman). For the Tasmanian politician, see Ray Bailey. Raymond Thomas Bailey (May 6, 1904 – April 15, 1980) was an American actor on the Broadway stage, films, and television. He is best known for his role as wealthy banker Milburn Drysdale in the television series The Beverly Hillbillies . Bailey was born in San Francisco, California,  the son of William and Alice (née O'Brien) Bailey. When he was a teenager he went to Hollywood to become a movie star. He found it was harder than he had thought, however, and took a variety of short-term jobs. He worked for a time as a day laborer at a movie studio in the days of silent pictures, but was fired for sneaking into a mob scene while it was being filmed. He also worked for a while as a stockbroker and a banker. Having no success receiving movie roles of any kind, Bailey then went to New York City where he had no better success obtaining roles in theatre. 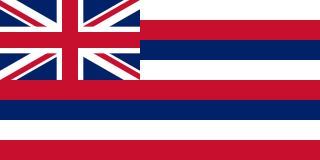 Eventually he began working as a merchant seaman and sailed to various parts of the world, including China, Japan, the Philippines and the Mediterranean. While docked in Hawaii, he worked on a pineapple plantation, acted at the community theatre and sang on a local radio program. In 1938, he decided to try Hollywood again. His luck changed for the better when he actually began getting some bit parts in movies, but after the United States entered World War II he again served in the United States Merchant Marine. When the war was over he returned to Hollywood and eventually began getting bigger character roles. 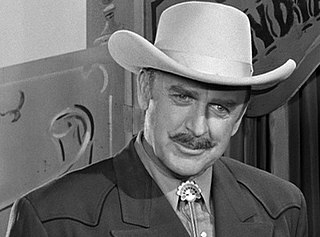 In the early 1950s, Bailey was cast in many character roles in television series, such as Alfred Hitchcock Presents , Tales of Tomorrow (episode "Ice from Space"), Frontier , Crusader , My Friend Flicka (episode "When Bugles Blow"), Gunsmoke (episodes "General Parsley Smith" and "The Big Con"), Tightrope , State Trooper , Coronado 9 , and Johnny Ringo . Alfred Hitchcock Presents is an American television anthology series that was hosted and produced by Alfred Hitchcock; the program aired on CBS and NBC between 1955 and 1965. It featured dramas, thrillers, and mysteries. 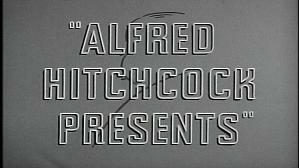 Between 1962 and 1965 it was renamed The Alfred Hitchcock Hour. Frontier is an American Western anthology series that aired on NBC from September 1955 to September 1956. The series de-emphasizes gunplay and focuses on the hazards of the settlement of the American West. It was only the second anthology Western series in television history, having been preceded by Death Valley Days. Other appearances were on The George Burns and Gracie Allen Show , Private Secretary , Playhouse 90 , The Rifleman , Bat Masterson , The Jack Benny Program , Yancy Derringer , Riverboat , Bourbon Street Beat , 77 Sunset Strip , Hennesey , The Twilight Zone , Bonanza , The Man and the Challenge , One Step Beyond , The Untouchables , Have Gun-Will Travel , The Tab Hunter Show , Pete and Gladys , The Donna Reed Show , Bachelor Father , Going My Way , and twice on Mister Ed . Bailey made two guest appearances on Perry Mason , playing banker Mr. Hilliard in "The Case of the Caretaker's Cat," and Dr. Bell in "The Case of the Injured Innocent." During its 1960–1961 season, he had a regular role on My Sister Eileen and guest-starred on Pat O'Brien's ABC sitcom Harrigan and Son . He appeared in the 1962–1963 season as Dean McGruder on CBS's The Many Loves Of Dobie Gillis . 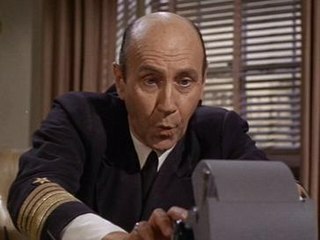 Bailey appeared in four Broadway plays, as Howard Haines in Last Stop (1944), playing an unknown man in The Bat (1953), A. J. Alexander in Sing Till Tomorrow (1953), and Captain Randolph Southard in The Caine Mutiny Court-Martial (1954–1955), which starred Henry Fonda. 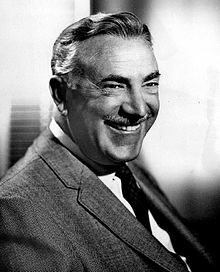 Bailey's film roles include playing a member of the board in the comedy/romance Sabrina (1954) starring Humphrey Bogart, Audrey Hepburn and William Holden; Mr. Benson in the drama Picnic (1955) starring William Holden and Kim Novak; a doctor in Hitchcock's drama/thriller Vertigo (1958) starring James Stewart and Novak; a Colonel in the comedy No Time for Sergeants (1958) starring Andy Griffith; the warden of San Quentin in the crime/dramas I Want to Live! starring Susan Hayward and as Philip Dressler in The Lineup (1958); lawyer Brancato in the crime drama Al Capone (1959) starring Rod Steiger; and Major General Alexander "Archie" Vandegrift in the World War II drama The Gallant Hours (1960). He also played a plantation owner in Band of Angels (1957) starring Clark Gable, Sidney Poitier and Yvonne De Carlo. He also played in the low-budget horror classic, Tarantula, and had a small role in Irwin Allen's Five Weeks in a Balloon (1962). In The Beverly Hillbillies, Nancy Kulp portrayed Bailey's ever loyal and by-the-book secretary, Miss Jane Hathaway. Banker Drysdale managed the millions of dollars in oil money royalties in the bank account of country gentleman Jed Clampett (portrayed by Buddy Ebsen). Often, Mr. Drysdale would be required to talk with Clampett about how strange "city life" and "city folk" are (when compared to Mr. Clampett's view of "normal" country folk). On occasions when Mr. Clampett was considering withdrawing all his funds and returning to the country (his home near Bug Tussle), the miserly Mr. Drysdale would often panic and desperately work to try keep the family (and their fortune) in Beverly Hills. Bailey began visibly displaying symptoms of Alzheimer's disease during the final episodes of The Beverly Hillbillies. He made only two film appearances after the show's 1971 cancellation — the Disney features Herbie Rides Again (1974) and The Strongest Man in the World (1975) — before retiring in 1975 due the effects of the disease. In his final years, Bailey divided his time between a condo and a houseboat in Laguna Niguel, California. He kept in touch with former co-star Nancy Kulp (whom he nicknamed "Slim") but was primarily a recluse. Raymond Bailey died of a heart attack on April 15, 1980, aged 75, in Irvine, California. His body was cremated and his ashes were scattered at sea. He was survived by his wife, Gaby Aida George (1914–1985), and was an uncle of actor William Sylvester. The Beverly Hillbillies is a 1993 American comedy film starring Jim Varney, Diedrich Bader, Erika Eleniak, Cloris Leachman, Lily Tomlin, Dabney Coleman, Lea Thompson, Rob Schneider and Penny Fuller. It is based on the 1962–1971 TV series of the same name and features cameo appearances by Buddy Ebsen, Dolly Parton, and Zsa Zsa Gabor. The film was directed by Penelope Spheeris. Trevor Bardette was an American film and television actor. He appeared in several episodes of Adventures of Superman and as Newman Haynes Clanton, or Old Man Clanton, in 21 episodes of the ABC/Desilu western series, The Life and Legend of Wyatt Earp. Dan White was an American actor, well known for appearing in Western films and TV shows. Robert J. Wilke was an American film and television actor noted primarily for his roles as villains, mostly in Westerns. Milton Frome was an American character actor. He made approximately 140 television and film appearances between 1934 and 1982. Carleton Scott Young was an American character actor born in New York City, New York and known for his deep voice. Richard Loo was a third generation Chinese-American film actor who was one of the most familiar Asian character actors in American films of the 1930s and 1940s. A prolific actor, he appeared in over 120 films between 1931 and 1982. Frank Sully was an American film actor. He appeared in over 240 films between 1934 and 1968. Ronald F. Hagerthy is a former American actor known primarily for his guest-starring and supporting roles on television westerns. In 1952, he portrayed Clipper King in the modern western series, Sky King, with Kirby Grant in the title role of Clipper's uncle, Schuyler "Sky" King, pilot of the private airplane known as the Songbird. Gloria Winters also starred as Sky King's niece, Penny King. Crusader is a half-hour black-and-white American adventure/drama series that aired on CBS for two seasons from October 7, 1955 to December 28, 1956. It was originally sponsored by Camel cigarettes. Return of the Beverly Hillbillies is a 1981 American made-for-television comedy film based on the 1962–1971 sitcom The Beverly Hillbillies which reunited original cast members Buddy Ebsen, Donna Douglas and Nancy Kulp reprising their characters of Jed Clampett, Elly May Clampett and Jane Hathaway, along with newcomers Werner Klemperer as C.D. Medford, Ray Young as Jethro Bodine and Imogene Coca as Granny's 100-year-old mother; noticeably absent are cast members Irene Ryan (Granny) and Raymond Bailey, who had died in 1973 and 1980 respectively, and Max Baer Jr. who declined to participate. Paul Bryar was an American actor. ↑ Kear, Lynn; Rossman, John (2012). The Complete Kay Francis Career Record: All Film, Stage, Radio and Television Appearances. 238: McFarland. ISBN 9781476602875 . Retrieved 19 November 2017. ↑ Pollock, Christopher (2013). 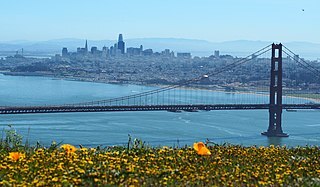 Reel San Francisco Stories: An Annotated Filmography of the Bay Area. Chaumont-en-Champagne, France: Castor & Pollux. p. 103. ISBN 978-0-578-13042-2. ↑ "TV Banker's Discovery: 'Money Can Buy Happiness'". El Paso Herald-Post. El Paso, TX. May 29, 1965. p. 8.